In addition to regularly scheduled cleaning, we offer additional one-time house cleaning tasks for the times you need an extra clean. For those times when you need an extra hand before visitors arrive or your house needs to be spotless for a party, The Maids will bring you the best house cleaning services available. Our team of professionals are certain to get everything done and can take care of your home, whenever you need us. Our all-in-one team of cleaning professionals can help you get any kind of cleaning project done. We are able to take care of nearly anything, whether it’s cleaning hard-to-reach windows or doing move-in or move-out cleaning. The Maids can do it all. Check out our list of tasks we can take care of for you, leaving you with one less stress during the week. Are you in need of a quick cleaning service before a special occasion? Don't worry, The Maids can take care of all your cleaning requirements the day of an event. If you’re feeling overwhelmed by last-minute cleaning that still needs to be done, feel free to call us for speedy housekeeping that will take the weight off your shoulders. We are here whenever you need us and our results are at the same professional level as our recurring maid services. We never cut corners, especially when you request same-day services. You can even take the credit for our great work when your guests arrive—we won't mind! During a move, it’s easy to create a mess that you don’t have time to clean up. Dust and dirt are easily stirred up when you’re packing and unpacking all your boxes. Whether you just bought a house or are in the process of selling your existing home, The Maids Scottsdale provides specific move-in and move-out services intended to get your home or apartment looking perfect. We’ll take care of the cleaning so you can focus on getting everything ready for your big move. The Maids are accessible at your demand to help you with a wide-variety of cleaning jobs. Big, small, easy or difficult—almost any type of cleaning task can easily be accomplished by our team of residential cleaning professionals. You can add these one-time services onto your regularly scheduled cleaning, or simply hire us to do one or two standalone services. No matter what type of cleaning chore you need taken care of, The Maids can handle it while you relax with friends and family. Many of our clients are working professionals who just don't have the time in their hectic days to take care of keeping up with household chores. That’s why The Maids Scottsdale is here to help you with occasional cleaning services when you need an extra hand around the house. Don't spend your free time cleaning when we can give you that much-deserved time to relax, be with your family or enjoy an afternoon to yourself. After all, that is what you work so hard for, right? If you are looking to hire an efficient, dependable and trustworthy maid service to clean your house, apartment, condo or townhouse around Scottsdale, look no further than The Maids. We are equipped to handle homes or tasks of any size. Don't wait any longer, pick up the phone and call us today to get your free estimate! 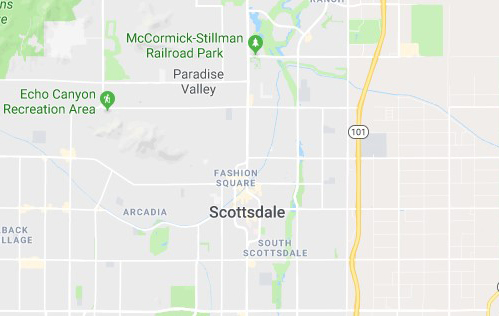 Where in Scottsdale are you looking for cleaning service?